You're probably familiar with the West Virginia dog (chili, slaw, mustard and onions) or the Chicago dog (poppyseed bun, mustard, relish, onion, tomato, pickle, sport peppers, celery salt). 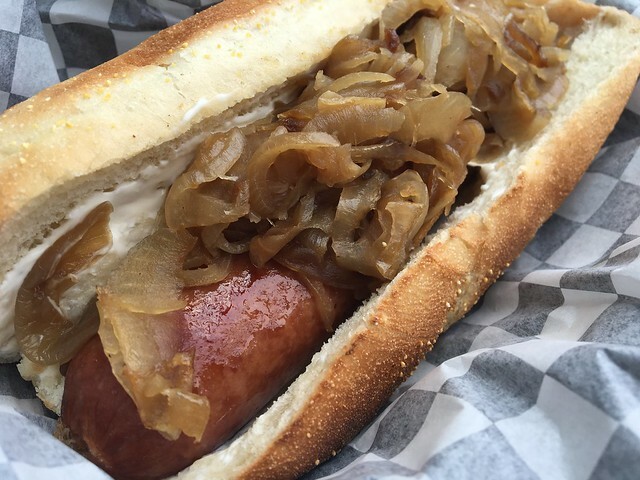 But did you know that Seattle has its own hot dog? It's true, and it includes cream cheese and grilled onions. 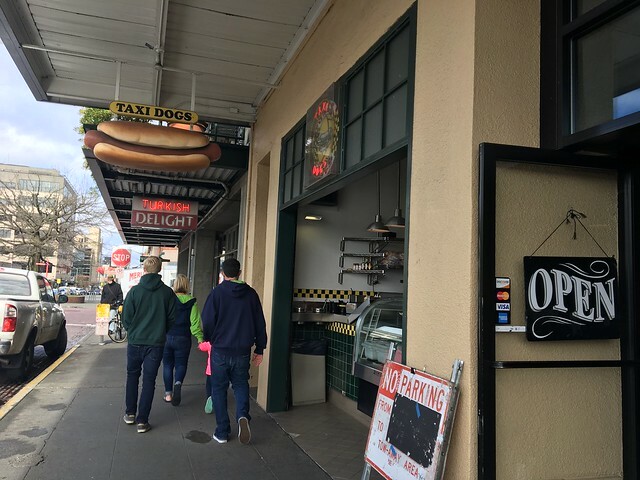 The only place in the market to get your daily dog, not to mention the go-to place for Seattle Dogs heaped with airy cream cheese and grilled onions. Grab one and hang out in the park under the totem pole across the street, taking in the local flavor Seattle style (EATER). Before I left town, I had to try one. 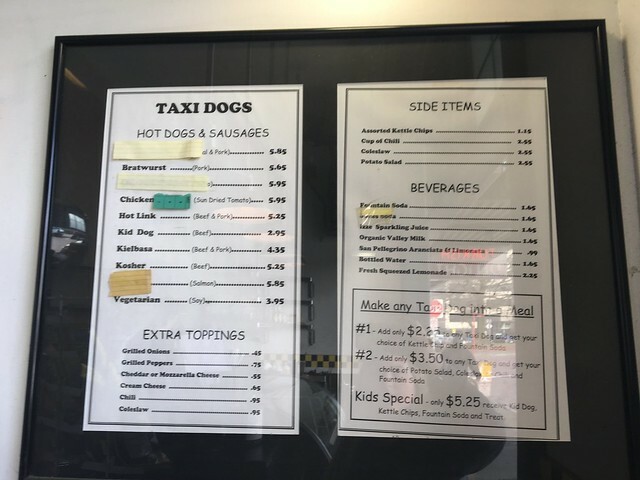 So, I went to Taxi Dogs to get my fix. Taxi Dogs is near where we were staying, so it was my best bet. 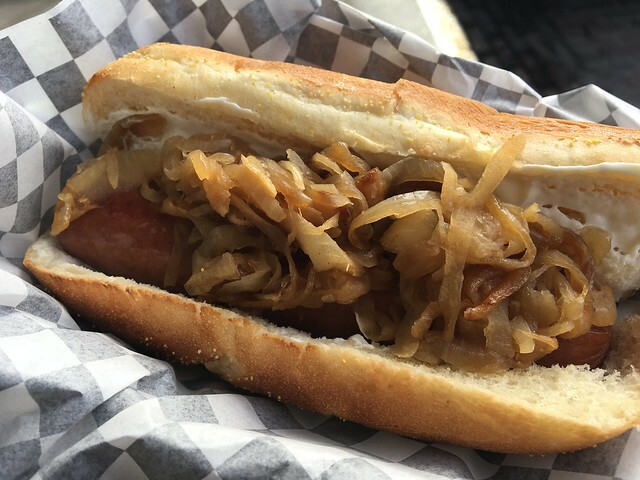 All I got was a bratwurst with cream cheese and grilled onions to get the full effect. And, ya know, it's alright. I'm a pretty big cream cheese fan, but in this case, just not sure it added much. Plus, I'm not super into grilled onions. I actually think maybe fresh diced onions would hit the spot. Either way, cool to see a regional dog and mark that off my bucket list before I left!